If you asked me a day ago what my favorite subjects in school were, I would’ve told you they were history, art, music, writing, literature, humanities, composition, geography…. if you noticed, there is nothing about science or math in there, whatsoever. No way, no how! I am the WORST at science and math. 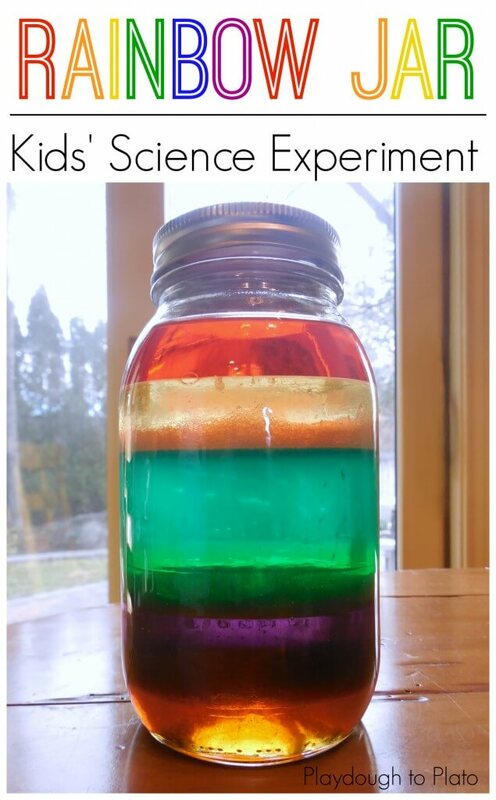 Ugh, I really despised them honestly – until I saw these little science experiments on Pinterest. Did you know science could be so cool?! I know. Where’ve I been?! But now that I know, I cannot wait to share these amazing kid-approved science projects with my little ones! Who knows? Maybe they’ll catch the science bug! 1. 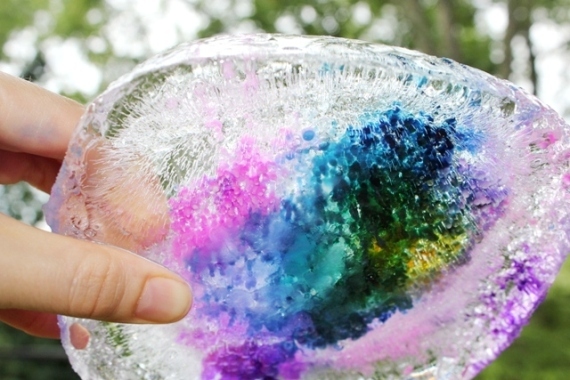 Melting Ice Science Experiment– This ice experiment from Artful Parent is not only pretty, but totally fun! 2. 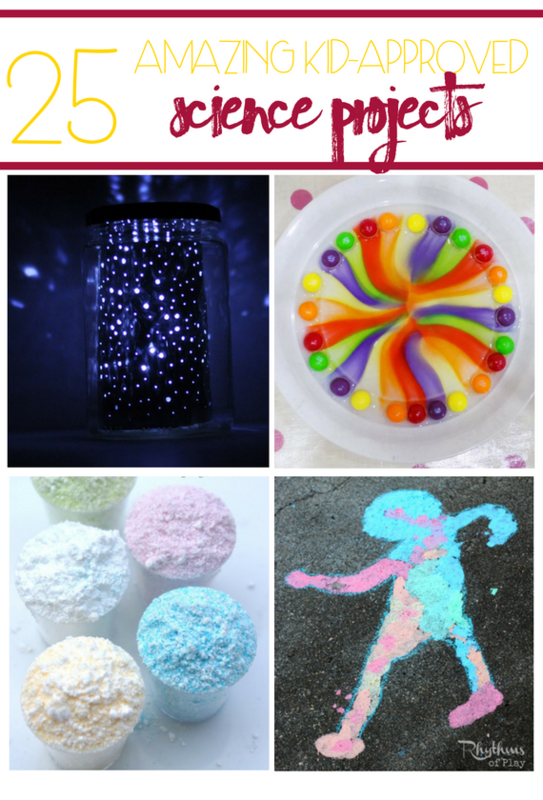 Rainbow jar– It really is mind boggling how this rainbow jar from Playdough to Plato turns out so perfectly! 4. Electric Eels– These dancing eels from Bitz n Giggles will have your little ones giggling and laughing the whole time! 5. 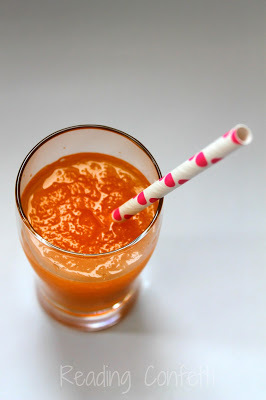 Slushy Science– Who doesn’t love science you can eat? Check out this slushy from Reading Confetti! 6. 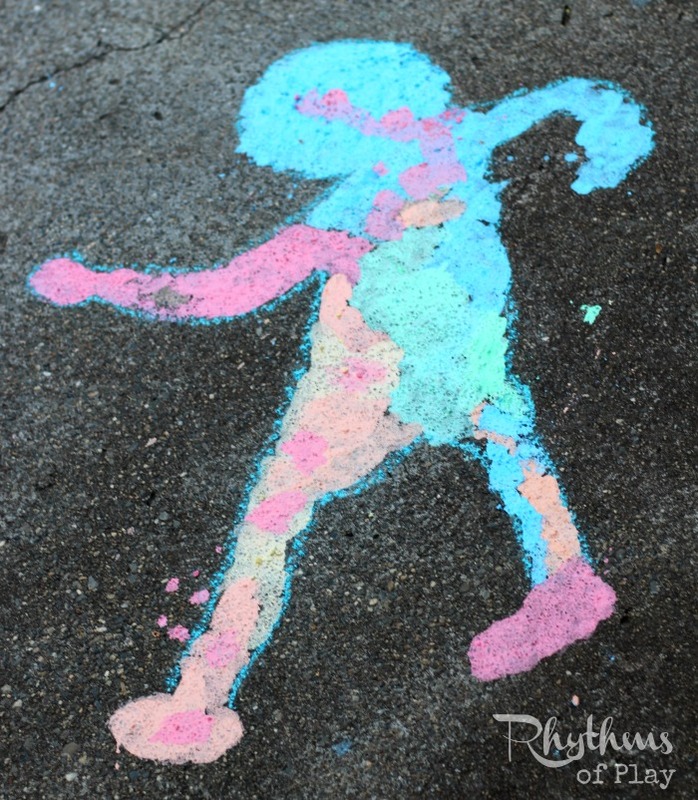 Shadow Art– This shadow art from Rhythms of Play is both science and art! The best of both worlds! 7. 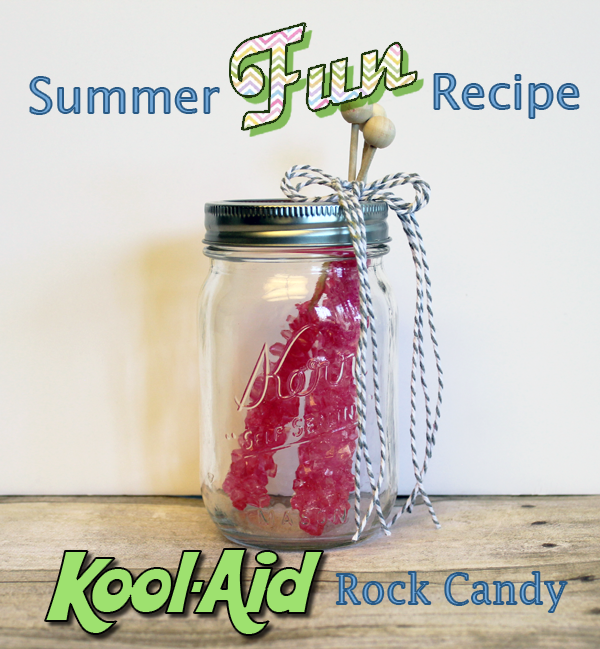 Koolaid Rock Candy– Rock candy is good. 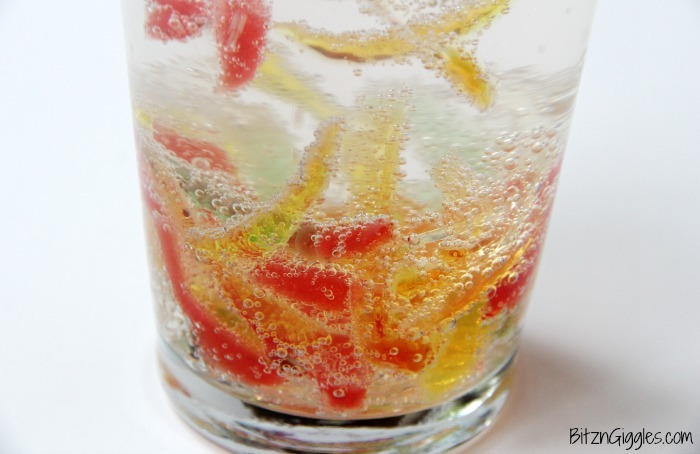 But rock candy with koolaid?! Now you’re talking! Try this recipe from Snippets of Design! 8. Playdough Bug Fossils– Your little paleontologist will love this easy science activity from No Time for Flash Cards! 9. Hidden Colors– Have any little ones learning their colors? 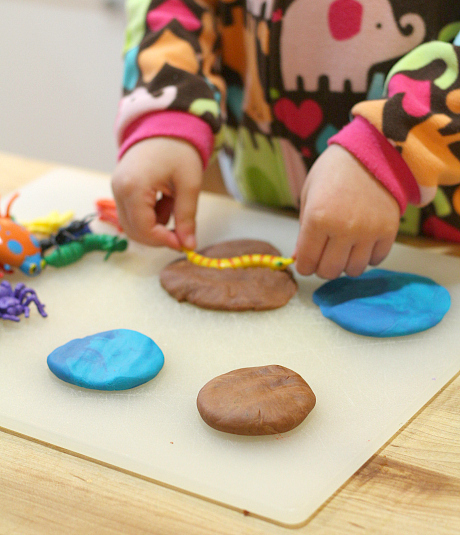 They’ll love finding them in this fun activity from Busy Toddler! 10. 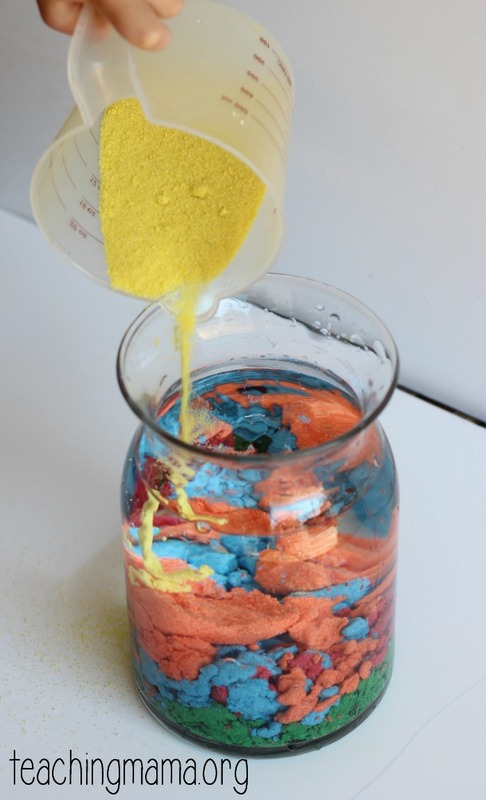 Underwater Magic Sand– For ocean lovers and scientists alike! Thanks Teaching Mama for the great idea! 11. 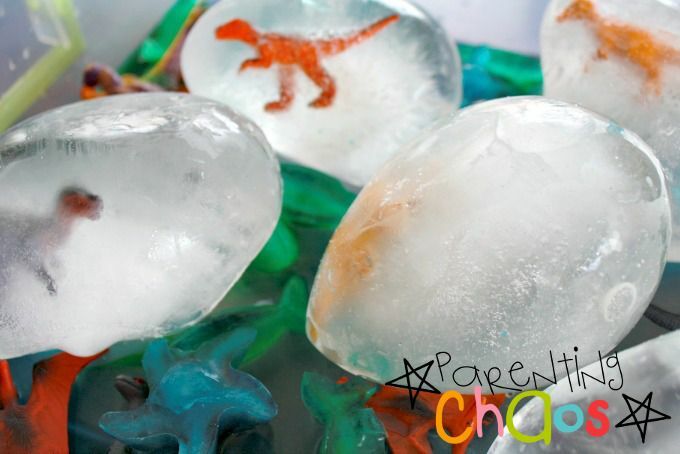 Dinosaur Icy Excavation– I know some little boys who would LOVE to dig up some dinosaurs! Check it out at Parenting Chaos! 12. 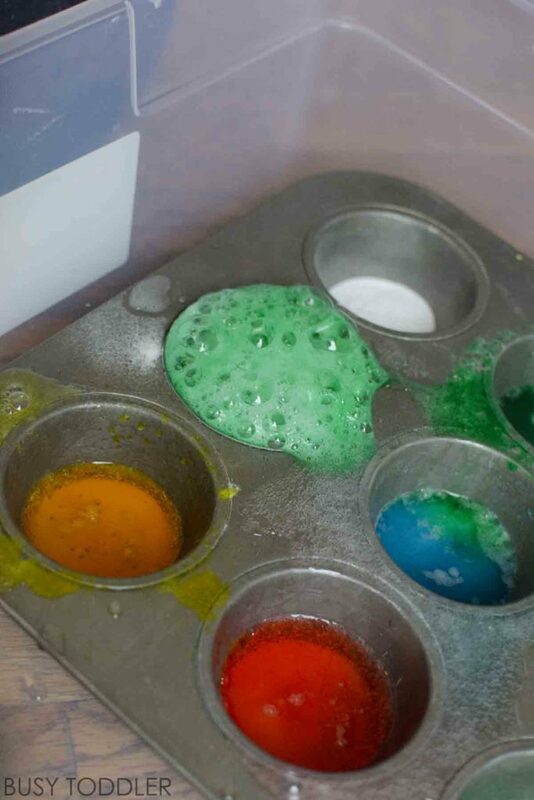 Color Mixing Shaving Cream– I love the minimal mess of this activity from Best Toys 4 Toddlers. 13. 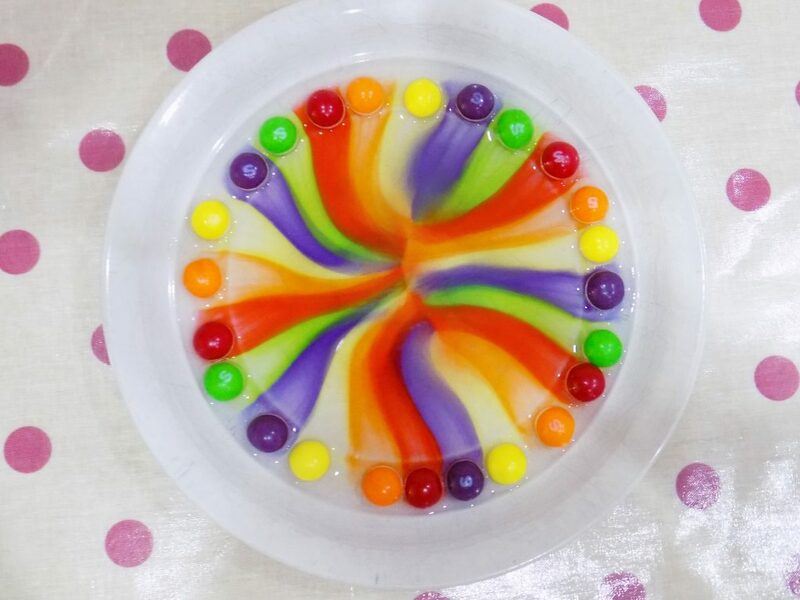 Skittles Rainbow– This is easily one of the simplest and most delicious science activities on the Internet! Find details at New Young Mum! 14. 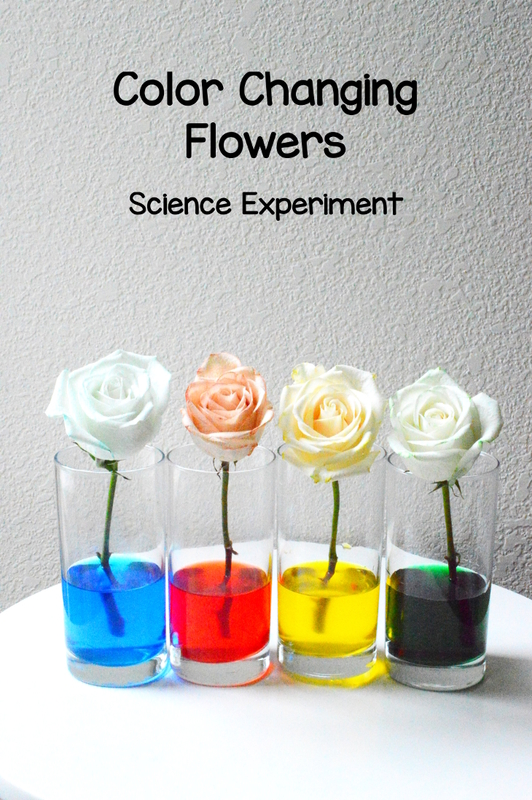 Color Changing Flowers– Teach your kids about the wonders of plant transpiration (I know. I didn’t know I knew that word either) using this genius idea from Rookie Parenting! 15. 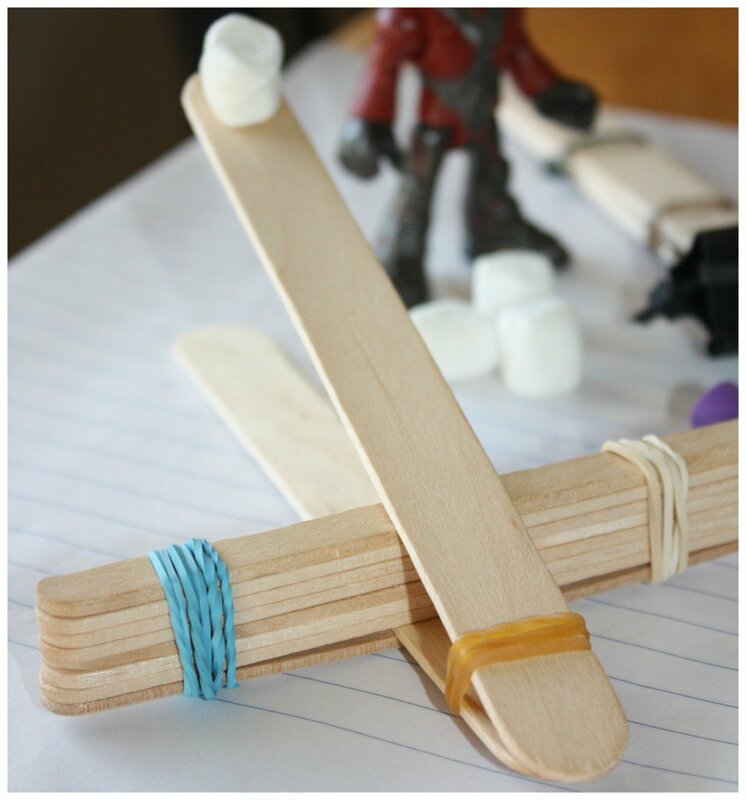 Kids Catapult– Start them early on physics with this easy catapult design from Little Bins for Little Hands. 16. How to Make a Lava Lamp– Does this give anyone some serious nostalgia? 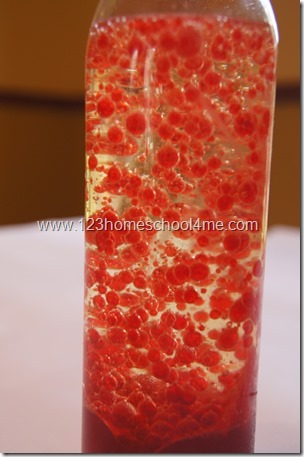 It’s time to bring back the lava lamp with this brilliant idea from 123 Home School 4 Me! 17. 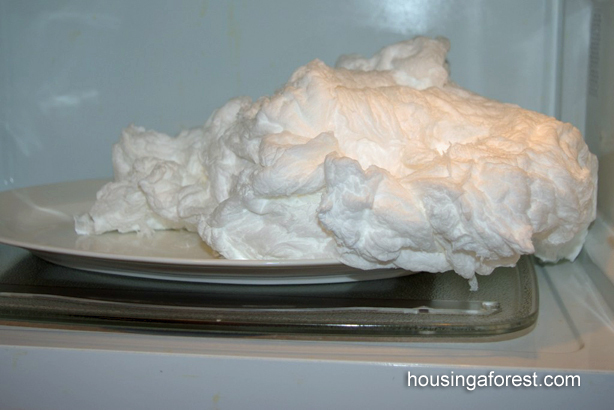 Ivory Soap Experiment– Ok, I have done this experiment before, and it’s amazing. It’s one of those things where you just can’t look away! Find instructions at Housing A Forest! 18. 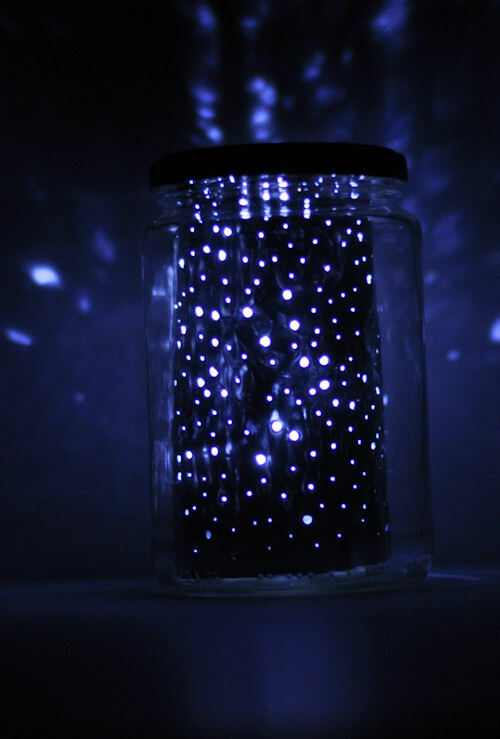 Constellation Jar– Teach your little star gazers all about the night sky with these beautiful constellation jar from Design Mom. 19. 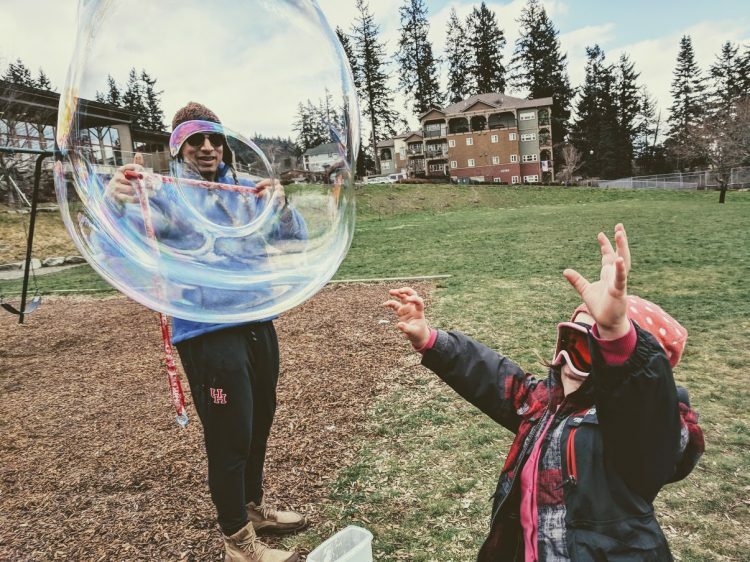 Giant Bubble Wand What could be more fun than to make these huge bubbles? Find out how at Rosie Research. 20. 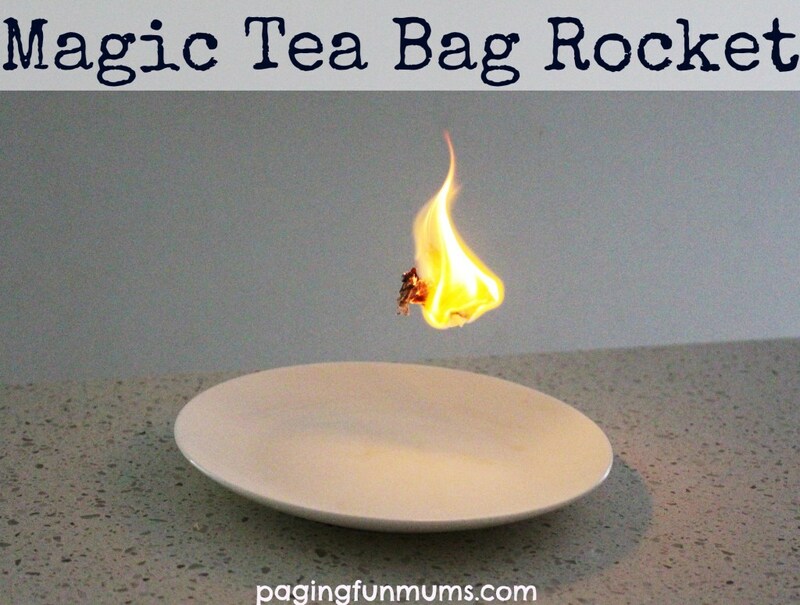 Magic Tea Bag Rocket– This fun experiment from Paging Fun Mums will have your little ones believing in magic! 21. 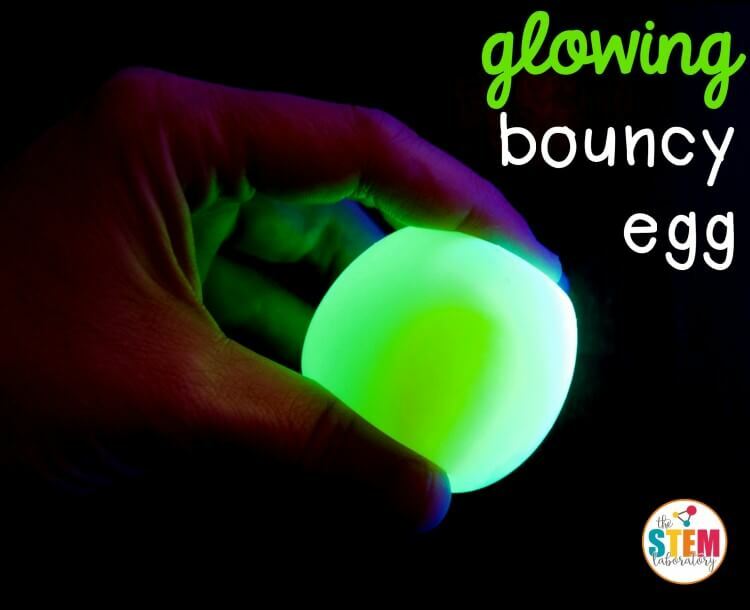 Glowing Bouncy Egg Experiment– Did you know that eggs cannot only bounce, but glow too?! 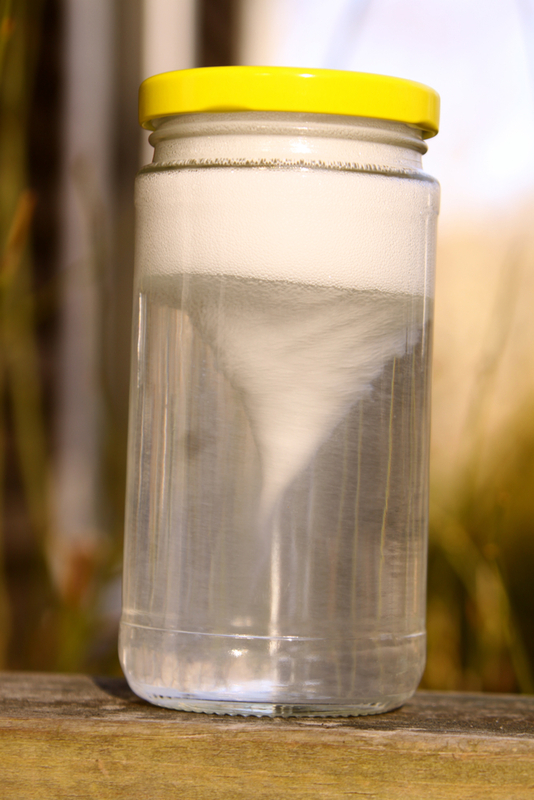 See for yourself with this fun experiment from The STEM Laboratory. 22. 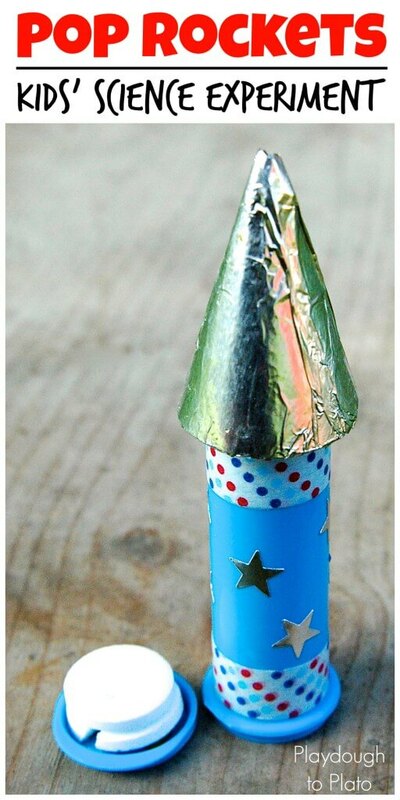 Alka Seltzer Rocket– For any aspiring astronauts, they’ll love this activity from Playdough to Plato! 23. 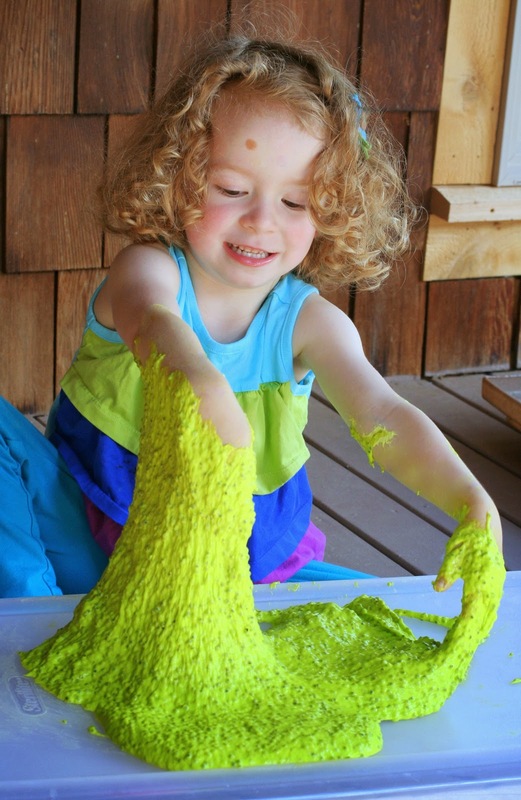 Edible Slime– If you have little ones who love to taste-test everything, then this experiment from Fun at Home with Kids is for you! 24. 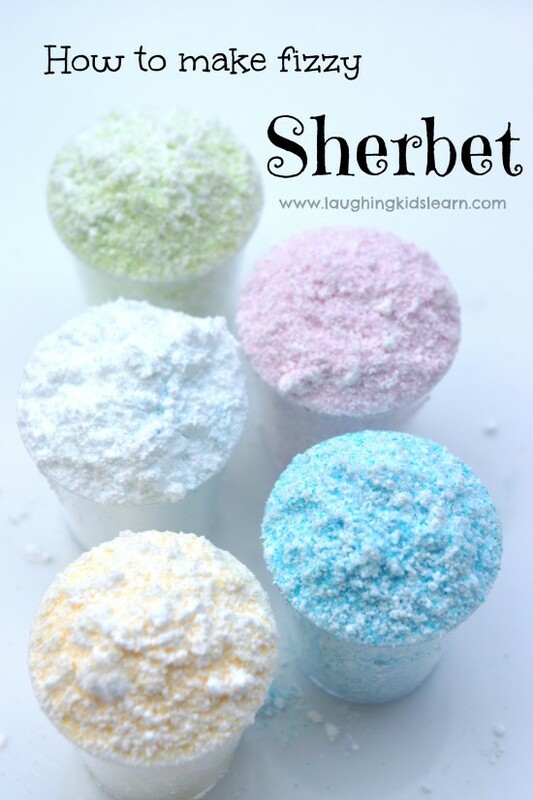 Fizzy Sherbet– A cold, fun scientific treat from Laughing Kids Learn! 25. 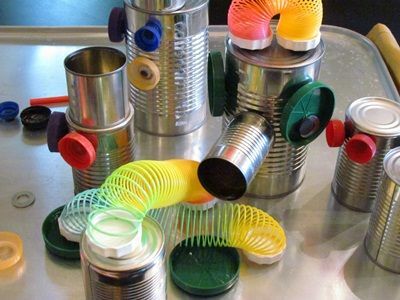 DIY Magnetic Play Set– For your little builders, try out these amazing magnetic blocks from Teach Preschool!